How is it Easter already, like seriously, where the hell is the year going?! 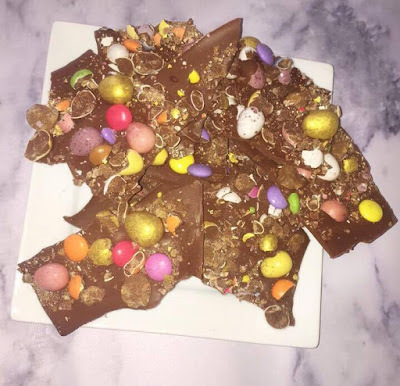 I am so happy lent is over and I can finally eat all the chocolate and so I thought it was only appropriate to share with you my Chocolate Bark Recipe to mark the occasion of surviving the challenge! I also want to make an effort to post more recipes on my blog in the next few months because they are one of my favourite types of posts to read so if you have any recipe ideas you'd like to see over here then please leave your suggestions below; they can be anything from healthy salads, baking recipes or pasta dishes with all the carbs .. I'll try anything! I'm thinking of doing a creamy spinach pasta recipe soon so stay tuned for that. 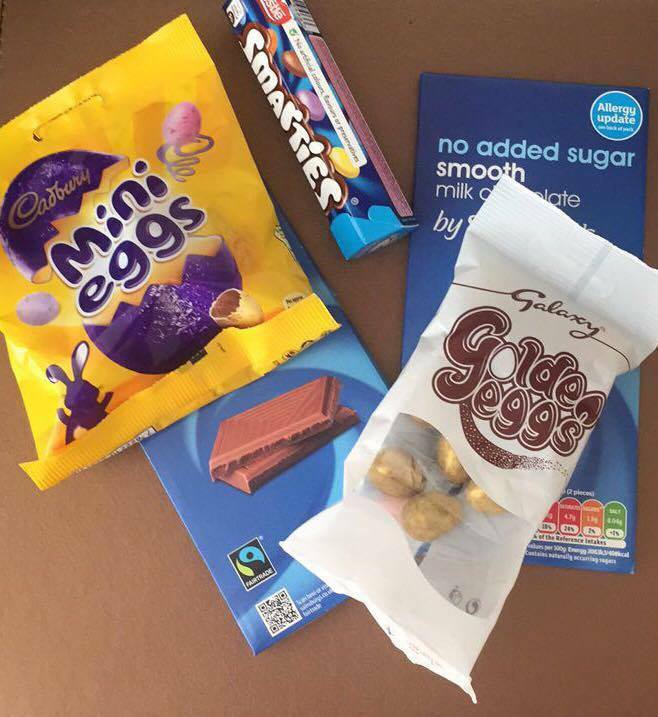 Anyway ... onto the recipe; prepare for chocolate overload! 1. Once you've gathered all your ingredients together the first step is to melt your chocolate. You can do this two ways; either in the microwave on 30 second bursts making sure the chocolate doesn't burn or using a small saucepan filled with water using a bowel to melt the chocolate from the steam. 2. Once the chocolate is completely melted, pour the mixture into a baking tray lined with baking paper. I used a generic flat oven tray. 3. Finally it's time to decorate!! 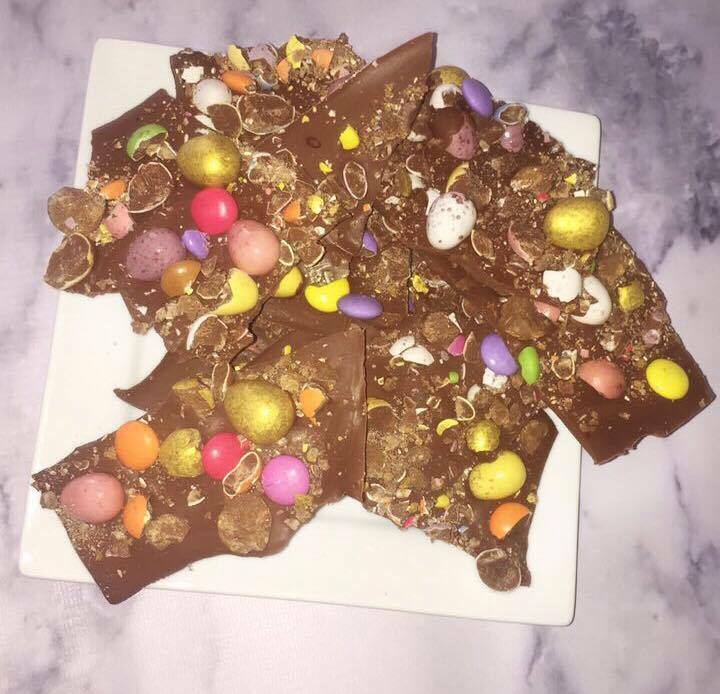 You can add whatever toppings you like but I used mini eggs which were half crushed and half whole along with some galaxy golden eggs and some smarties. 4. Once you're happy with the decoration all that's left to do is leave it in the fridge or freezer if you're pushed for time. 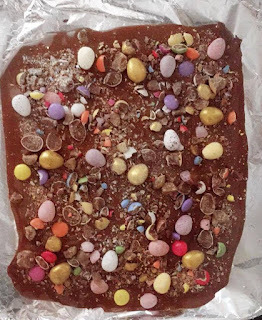 Once the chocolate is hardened you can snap it in different shapes to create your chocolate bark. Now it's time to enjoy.